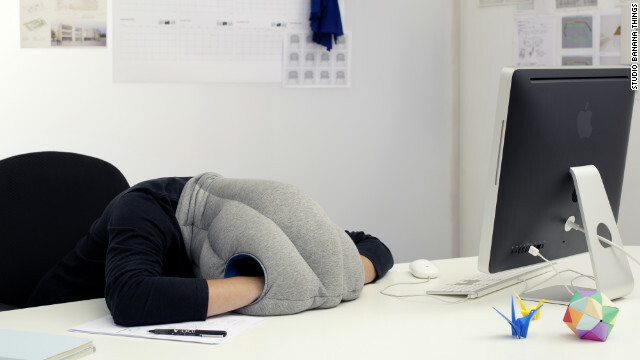 The Ostrich Pillow is the ideal solution to take a power nap at your desk or while travelling. We’re sure that no one will bother you while wearing this snug contraption on your head at work or in the plane. The Ostrich Pillow forms a comfortable cocoon around your head with a small space to breath out of. Put your head on your desk, stick your hands in the sides and doze off into dreamland. 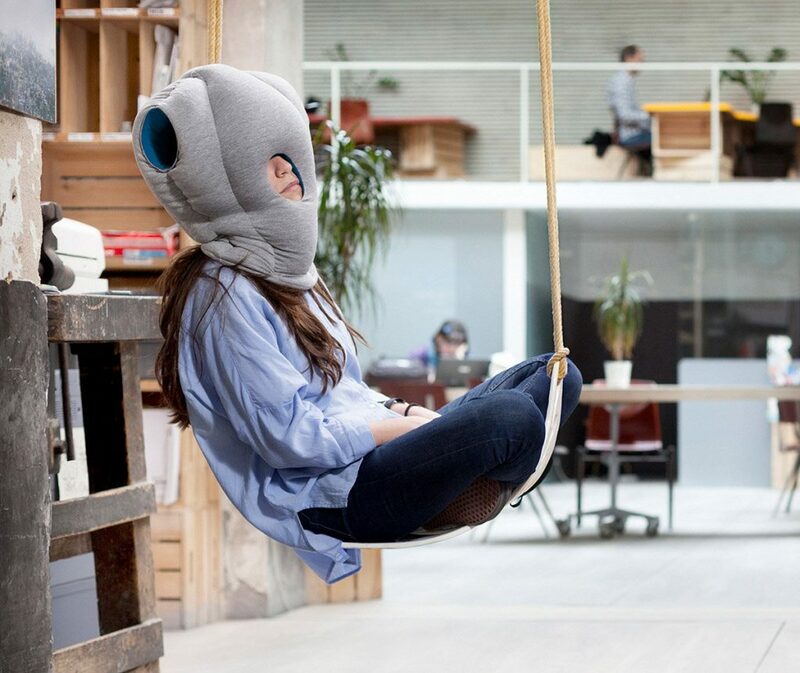 You might think it’s a novelty and sure it’s a bold move wearing this out, but you’ll laugh away all those co-worker taunts with a 37% increase in productivity (after your Ostrich Pillow nap). Composition: 95% Viscose, 5% Elastomer. Allergy-proof and handmade. The napping pillow is filled with microbeads for maximum comfort and lightness. Fabric cover is 95% viscose to guarantee the softest touch, and 5% elastomer for flexibility. Ergonomic design provides maximum quality sleep. For a power nap at your desk, chair or wherever you may be without moving an inch. Just slip it on and you're off to dreamland.